Did you know people pick/touch their nose 5 times an hour? We’re just saying. We love our October Steals! There are one hundred million things to do with a Magic Eraser, and everyone should have at least 10 laying around (hint hint: stocking stuffers). You can clean the inside of your crock pot OR your car tires with this guy. 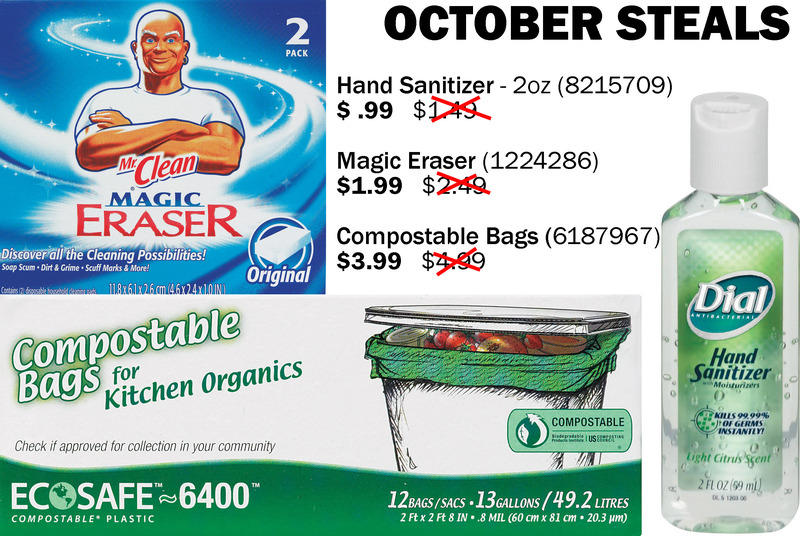 Compostable kitchen trash bags are an eco-friendly way to dispose of trash you can’t recycle–they completely fragment and disintegrate in 12 to 24 months in a landfill.